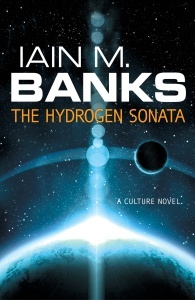 The Hydrogen Sonata (not to be confused with The Seth Rogen Sonata) is a Culture novel – a tale of Banks’s trademark galaxy-spanning meta-civilisation. This one focuses on the end days of the Gzilt (a civilisation that passed up the opportunity to be a founder member of the Culture ten thousand years ago) as they prepare to ‘Sublime’. Subliming is a process that involves an entire race (usually) deciding that they’ve had enough of reality and transporting themselves to mind-boggling, paradisiacal higher dimensions. The thing about the Gzilt is that they have a holy book that – unique in galactic history – has turned out to be correct in its prophecies. The story kicks off when a ship arrives in Gzilt space with a message from the Zihdren Remnant (the remains of a long-Sublimed civilisation called the Zihdren) that may shed light on said holy tome’s provenance. This ship is destroyed by a Gzilt faction. As inveterate galactic busybodies, the Culture – an ad hoc committee of interested ships, at any rate – decides to investigate. Much of the cast consists of the vastly capable artificial intelligences that control Culture ships – Minds. One Gzilt woman, Vyr Cossont – artificially four-armed because of her desire to master an almost unplayable piece of music on an almost unplayable instrument called the Antagonistic Undecagonstring – is recruited to recover the stored memory of a man (a ten-thousand-year-old Culture citizen) who may know the truth. A Culture woman is similarly (well, quite dissimilarly, actually) recruited to find the man himself. A Gzilt politician schemes with increasing desperation. A Gzilt general battles with the Culture and wishes he were a machine. If you’ve read any Iain M Banks, you know what you’re getting with these characters. 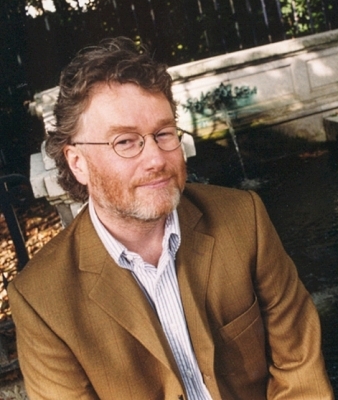 The book’s heroine is particularly reminiscent of the main character from Banks’s previous Culture novel – a non-Culture woman rescued and guided by a Culture ship. She doesn’t have much of a personality herself and is mostly a foil for what’s going on around her. Her limited human capabilities are rendered pretty much pointless by the hi-tech puissance of her ship mentor. The ships are the usual quick-talking, perceptive, cocky bunch. The politician is a fairly two-dimensional, unscrupulous smooth-talker. The most interesting characters were some of the non-viewpoint characters. Like the Gzilt artist Ximenyr who conducts body modification. When he’s first encountered, he has dozens of penises grafted all over his body (and multiple hearts to pump enough blood to get them erect) and he conducts regular self-centred orgies. Or the android Eglyle Parinherm who is brought online to protect Cossont but who believes (because the technicians haven’t had time to reprogram him) that he’s in a simulation; he informs Cossont at one point that her reactions are unrealistic and advises the simulation designers (who he assumes to be listening) to have a rethink. Both are sadly underused. Sadly overused is Cossont’s sentient but stupid flying scarf, Pyan, which interjects nuggets of less than funny comic relief. All of which may make it sound as if I didn’t enjoy The Hydrogen Sonata – I did, actually. It’s highly readable, if a little confusing in places – the various Minds and what they’ve been up to blurred together a lot. But it’s also pretty much more of the same, albeit from a great writer.